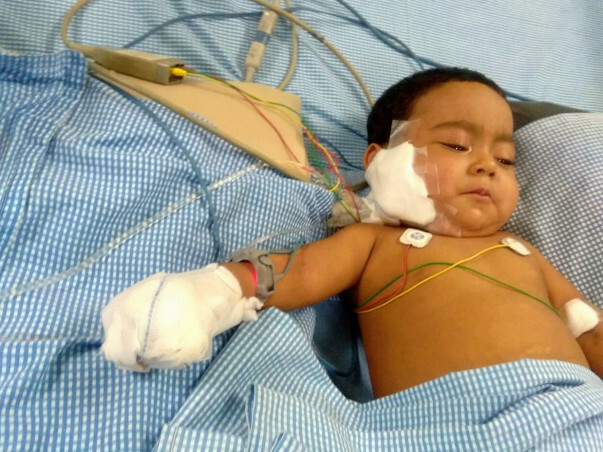 In just two months of being born, 11-month-old baby Maryam was diagnosed with Biliary Atresia. Biliary Atresia is a childhood liver disease which causes blockage in the liver and eventually leads to liver failure if not treated immediately. Maryam's liver disease is quite critical and she has been advised to undergo a liver transplant at the earliest. The cost of the liver transplant is approximately 16 lakh INR. It failed. The treatment failed. My baby became sick again. She now scratches her body so bad that is starts bleeding all over. She is so much pain and her father can not even take it away from her. 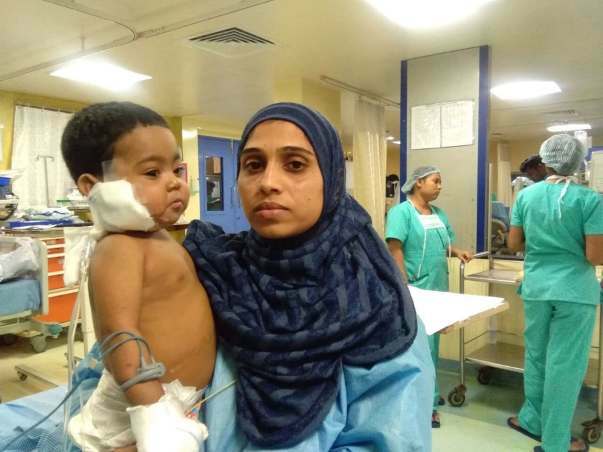 I am helpless", said her father, Abdul Mannan with a break in his voice. 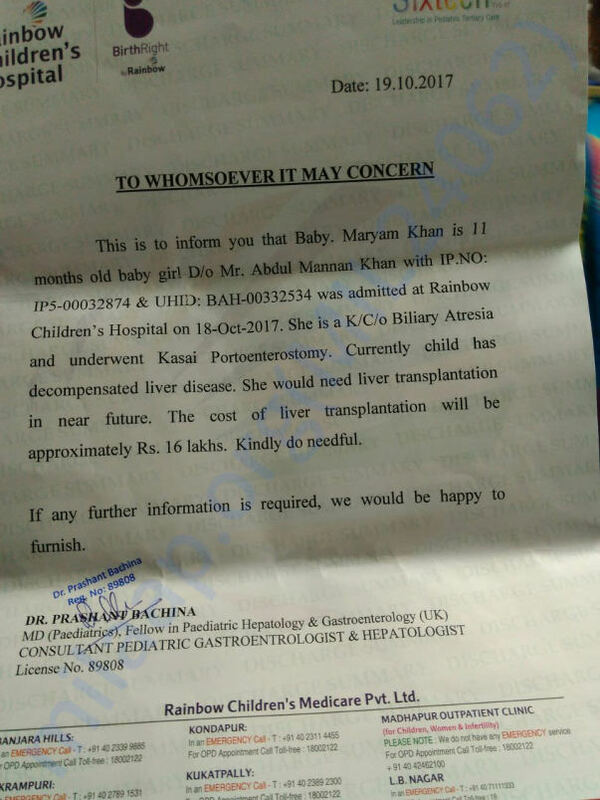 Unfortunately, Maryam's father has a meagre salary of only 6000 Rs a month and cannot afford the cost of the transplant. He is willing to do whatever it takes to save his daughter and needs our help. “We are trying our best, but nothing we do can help us collect the full amount needed for transplant. Even our relatives are no longer helping us,” Abdul's brother explains. Your contribution can save Maryam;s life and give her the treatment she deserves. Maryam is at home and she is doing fine. She has been undergoing various tests on her kidney and liver. Every 10 days she undergoes tests. The doctors have reduced the dosage of her tablets as well. When we take her for the next check up, the doctors will let us know what the future course of treatment will be. After the surgery, Maryam was admitted in the hospital for 2-3 times but as of now, she is doing well. She 's active like any other normal kid. Doctors have suggested routine check-ups for her, which she has been following and there has been no complications so far. I want to thank each one of you for the love and support which you have shown towards her, May God bless you all. Thank you for the support you have Maryam so far. She is doing better now compared to earlier and has successfully undergone the transplant procedure by 10th December. Her mother donated a part of her liver to Maryam and she is also doing better now. Maryam is still in the hospital and is under observation as per the doctor's advice. I would like to thank all the donors for supporting and blessings which is helping her in recovering faster. Please do pray for her speedy recovery. Will keep you posted.